Rebalancing the flora in an unhealthy gut is one of the keys to healing autoimmune disease and chronic inflammation such as occurs in all forms of arthritis. Kefir adds healthy bacteria that help regulate the immune system. It does this by providing over one hundred different healthy bacteria and micro-organisms. Making Kefir at home is a great way to make your own probiotics. Kefir is made from a kefir grain that can be easily shipped to you from an online vendor. It is simple to make. All it requires is adding milk or juice to the kefir grain, without heating or cooking or measuring anything. “Milk kefir grains” are the most versatile. They can be used to ferment many different kinds of juices and milks. “Water kefir grains” are not as versatile. They can be used to ferment juice, but not milk. 1. Combine kefir grains with milk in a mason jar. 2. Let sit for one to two days, covered but not sealed. Kefir can also be used to make cheese. This is a godsend for those who need strict control over the ingredients used in all of their food. 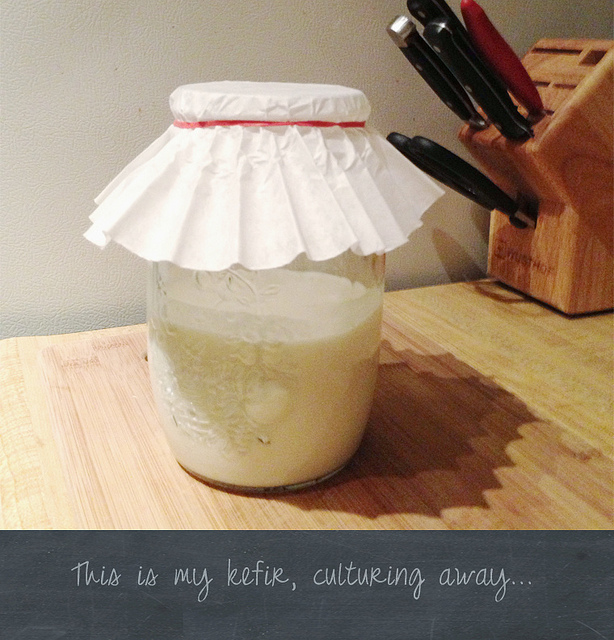 To make cheese let the kefir ferment for an extra day or so, until the solids (curds) separate from the liquid (whey). Separate the curds and you will have a cheese somewhat like ricotta. Thank you for the recipes on your website. I was misdiagnosed in my teens and told my joint pain was tendinitis. I finally went to a rheumatologist in 1992 and was diagnosed with reactive arthritis. Unfortunately I wasn’t told or misunderstood the fact it is an autoimmune disease and not the same as osteoarthritis. I thought there was nothing I could do about it. I had gained 50 pounds and went from a collegiate track athlete to sedentary person trying to survive painful flare-ups and symptoms related to hypothyroidism. When I was miserable three years ago with severe pain in my neck and shoulders, I started Frank Lipman’s Revive program (clean eating) and felt so much better. Then due to a couple of years of chronic work stress, I cracked two teeth and had an abscess that led to back to back antibiotics that trashed my immune system. Just when I tried to get better, work stress peaked for a year and a half, and emotional eating took over my clean eating. My inflammation is so bad that I have pinched nerves and had to start steroids today. I am convinced I can overcome my arthritis, autoimmune diseases and overall inflammation with diet and probiotics and cannot wait to read your book! I am looking forward to trying your recipes! You are most welcome for the recipes. 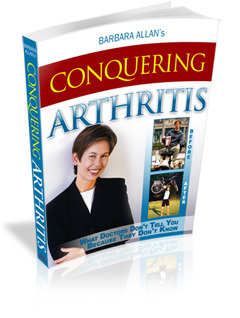 Let me know how you like my book, Conquering Arthritis. Despite all the former misinformation or misunderstandings, despite all the pain and stress you have been through, it is possible to heal from reactive arthritis. I wish you all the best. Thanks for taking the time to respond.